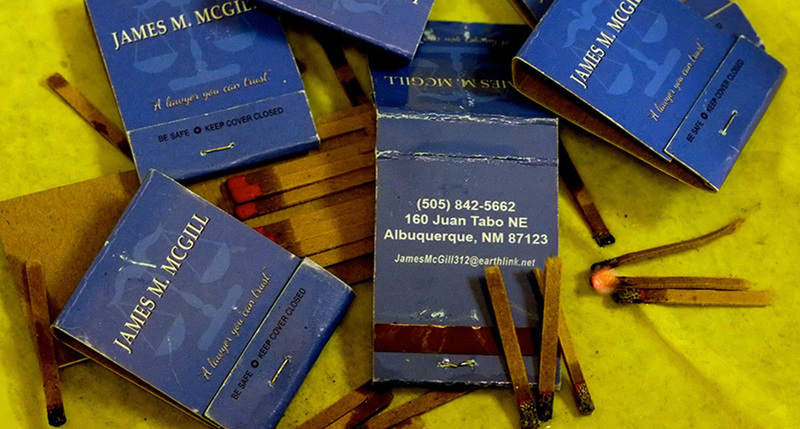 When I got around to watching the “Nacho” (episode 3) of Better Call Saul a few days after it had aired, I was immediately struck by a couple of shots just over halfway in. 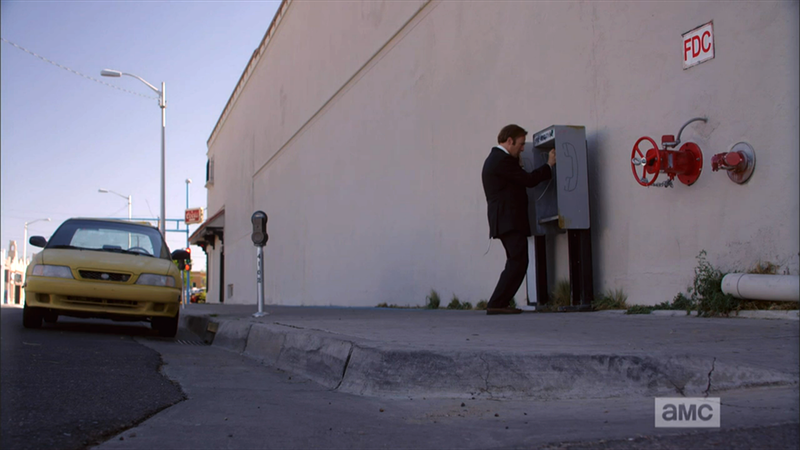 I mean Better Call Saul and Breaking Bad has always had some really good camerawork and composition, and there are a lot of movies and tv shows that I notice it from time to time. But it’s a little rare when a shot really makes me pause and say to myself how excellent the composition is. I’m sure if I took time I could start recalling more and more, but The Insider and Heat come to mind really easily — go figure they are both Michael Mann pictures — and No Country for Old Men as well. There’s something about those three films that continues to stick with me — and I feel these two shots in the show were like that for me. Both the stills on this page are those very shots. They’re just so great. 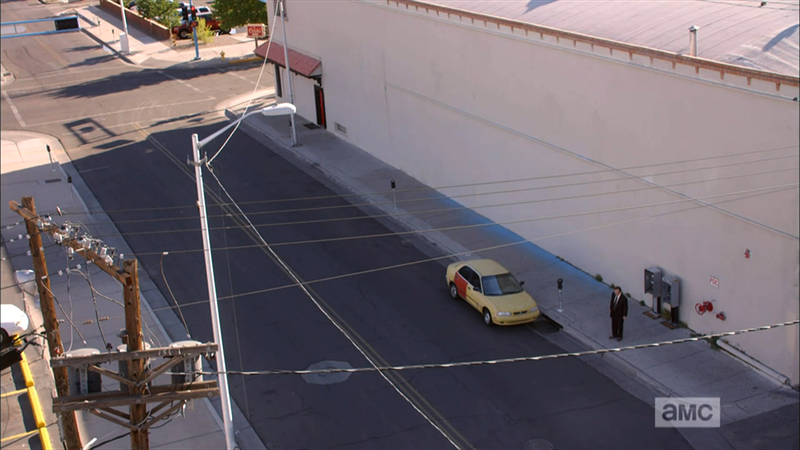 All the diagonal lines creating points of interest, making sure the the car isn’t intersected by the power lines, the bright red of the fire department connection in the foreground, the fact that Bob Odenkirk walks around a little but also remains entirely in the open space between the power lines. It’s pretty impressive given that all this urban construction and infrastructure usually makes it quite challenging to compose a scene or photo well.